Originally established in 1885, automobile company Wanderer became later a branch of Audi AG. On 25th April 1910 the Audi Automobilwerke GmbH Zwichaw was entered in the company’s register of Zwickaw registration court. The first Audi automobile, the Audi Type A 10/22 hp (16kW) Sport-Phaeton, was produced in the same year followed by the successor Type B 10/28PS in the same year. After several businesses merged the new company was known as Audi NSU Auto Union AG; and saw the emergence of Audi as a separate brand for the first time since the pre-war era. 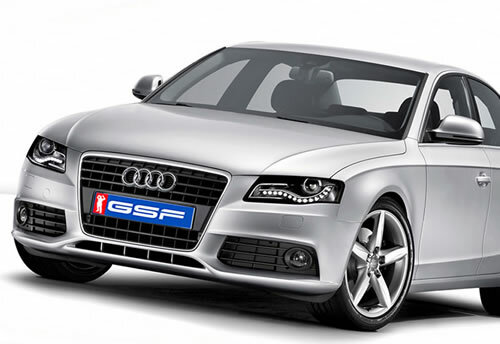 GSF Motor Works is one of the largest independent Audi car servicing workshops in Central and South-West London. In our garage the Audi car owner can have the service, repair and the maintenance of his car carried out cost effectively by our mechanics in line with the manufacturer specifications. GSF Motorworks has the latest diagnostic equipment and can carry out MOT testing as well as premium quality Audi bodywork repairs. We are Audi Specialists and service centre. Depending on the model and your driving style, we apply either a fixed service schedule or a flexible service schedule. Both schedules include an Audi inspection service followed by an oil change service in the time and/or mileage Audi recommends. In our workshop we can carry out MOT tests as well as Audi repairs and bodywork. With GSF Motor Works you maintain the Audi Warranty as we strictly adhere to Audi Servicing specifications, use dealer level Audi diagnostics equipment and apply Audi approved parts and accessories. The Audi Service Cost with us is a fraction of what main dealers charge. What we offer is not a cheap car service as many independent Audi garages do – we offer a trusted value for money alternative. We can serve customers with Audi in SW London, West and Central London areas. Are you looking for a Audi key replacement? Do you need to have your Audi checked for wheel alignment? Do you want to have dents and scratches fixed or are you looking for some more serious Audi accident repair? Or is it just about a simple service, and want to ensure that a proper Audi diagnostic process will be applied? There is always a major service followed by an oil change service and vice versa. During an interim oil change service we also change the oil filter and check all lights, dashboard warning lights and horn function, windscreen wash system and wiper blades, mirrors, door locks and bonnet, battery, coolant level, clutch function, hydraulics and power steering fluid levels, front and rear break pads and discs, gearbox, steering and suspension check. We also conduct a visual check of the exhaust system and the brake system for leaks and damage, under body check for loose parts, front and rear axle checks, tyre condition and pressure check, and the bodywork for any damages. During a major service, on top of all tasks carried out during an interim service, we replace the air filter, and at an additional cost we can replace the fuel filter or spark plugs / glow plugs if necessary. Our lead engineers always overview and check any work done on your Audi, and they finally conduct a thorough road test. Our tools are regularly updated to address all complex electronic systems of the latest models. Strictly adhere to service schedules, specifications and use manufacturer approved parts. Kick off any major service with a rigorous vehicle check to maintain high performance and on the road safety! We are based in Battersea, just 10 mins drive from Chelsea, Wandsworth High Street and Balham,12 mins from Westminster, Elephant & Castle and 15 mins drive from Fulham Broadway. We undertake all types repairs but also restoration projects, engine rebuilds, performance tuning as well as other more common tasks like tyre fitting and wheel balancing.